Deputy Environment, Energy & Climate Change Deputy Minister Makis Papageorgiou will hold talks in Brussels today with European Commision energy and competition officials, signaling the beginning of the latest effort by the ministry to reach ageements for a sustainable Capacity Assurance Mechanism in the electricity market and the completion of the sale of a 66 percent sale of DESFA, the Natural Gas Transmission System Operator, to Azeri company Socar. As has been previously reported, the European Commission recently launched an investigation into the DESFA sale over EU energy security and competition concerns, which has stalled the deal’s progress. A decision is due by March 23, 2015. 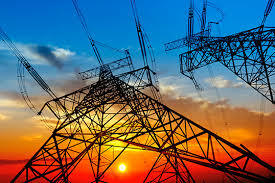 As for the country’s new Capacity Assurance Mechanism and its CATs (Capacity Availability Tickets), the Greek Energy Ministry forwarded its latest plan to the European Commission last Friday, according to energypress sources, following pressure applied by its Directorate General for Competition. The proposal, based on a plan prepared by RAE, Regulatory Authority for Energy, has been revised according to European Commission demands, while also maintaining local interests. The country’s creditor representatives, or troika, insist, as energypress has disclosed, that a mechanism to reward producers for capacity availability during low-demand periods is not necessary. However, the troika does agree to the need for a mechanism that supports producers for offering capacity flexibility to the system. But the creditor representatives are applying pressure for the overall cost of the new CATs to be reduced by more than 50 percent of the exisiting system’s level. Despite the troika’s demand, the ministry’s proposal has maintained the capacity availability mechanism, and has also incorporated hydropower plants into the capacity flexibility mechanism. Negotiations cannot drag on for too long as the validity of the country’s current Capacity Assurance Mechanism will expire at the end of the year following a series of extensions in the past. To help push its case, the Energy Ministry is basing part of its argument on the findings of a study conducted by IPTO, Greece’s Independent Power Transmission Operator, which warns the country’s grid will encounter a capacity adequacy problem as of 2016. The ministry has already presented its case to the troika as to why it believes the local electricity market would collapse if creditor proposals are implemented.